Today we are visiting Croatia. Croatian cuisine can be divided into a few regional cuisines which all have their specific cooking traditions, characteristic for the area and not necessarily well known in other parts of Croatia. Most dishes, however, can be found all across the country, with local variants. I chose to makea delicacy that is served during carnival time. 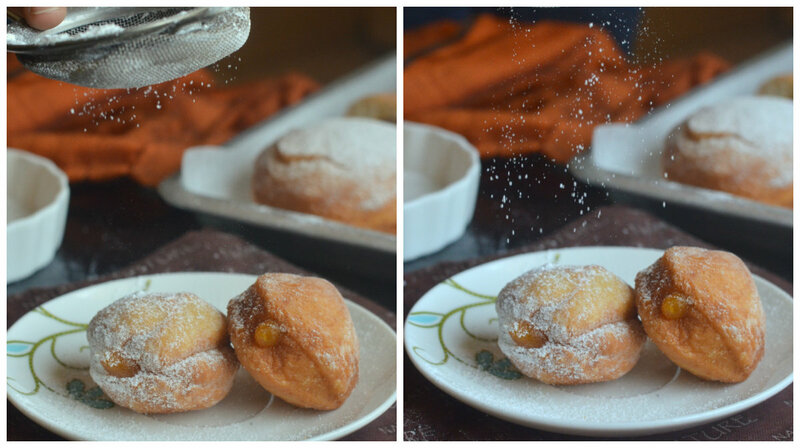 Delicious, apricot jam filled doughnuts, ah ah, no Krofne/Krafne/pokladnice. Croatian krafne or pokladnice, are airy filled doughnuts. They are round and usually filled with jelly, marmalade, jam or chocolate as well as butter, nutella and cinnamonn. In Croatia, they are especially popular during Rijeka Carnival held each year before Lent (between late January and early March). These doughntus do not have the typical ring shape, but instead are solid. Traditionally, they are filled with jam (apricot or plum). 1 tbsp of flour + water to make a paste for sealing the doughnuts. Wash and Soak the apricots in water and leave it overnight. Next day morning, grind the apricots with the water, it has leftover after soaking. 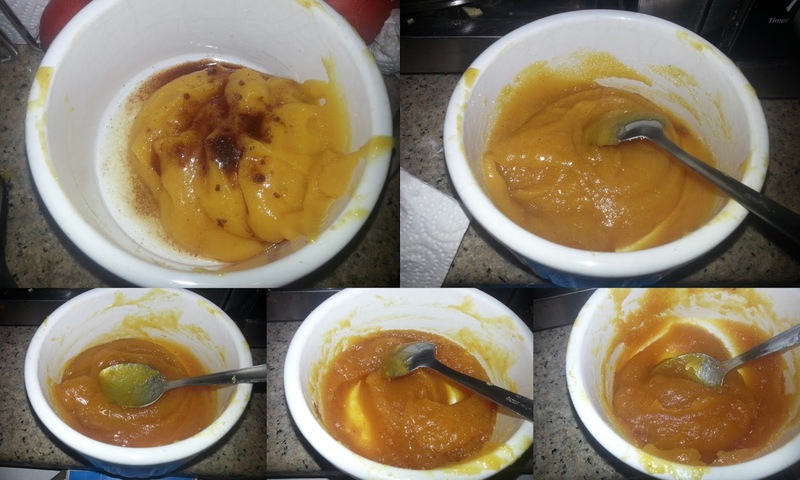 Take the puree in a microwave safe bowl, i measured it while transfering, it was around 3/4th cup. Add sugar, lemon juice and a sprinkle of cinnamon, mix well. Microwave high for 4 minutes, taking it out and mixing well after every 2 minutes. Mine was almost done after 4 minutes, i cooked again for another 30 seconds to get a jam like shine and consistency. Let it cool to be used as a spread or to stuffed into krafne/krofno. Heat milk in a saucepan, no need to boil, add butter to this and take it off the stove. I used my food processor to make the dough, makes things easier for me. Add flour, sugar, salt and yeast to the food processor bowl, pulse it few times to mix well. Now with the processor running, add the yogurt, followed by milk-butter mix. Let it knead to form a dough. Transfer the dough on to well floured surface, knead well using your hands to get a soft dough. The dough needs to be very soft, similar to pizza dough. Oil a bowl and transfer the kneaded dough into it, cover and let it rise for an hour and until doubled in bulk. Punch dough down. On lightly floured board roll dough ¼ inch thick. 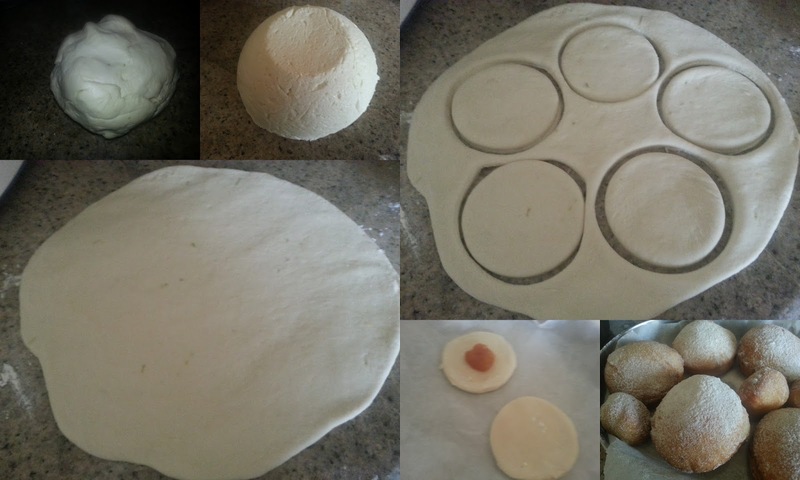 Cut dough into 3-inch rounds. On one round place about 1 teaspoon of apricot jam. Brush edge with a flour paste then top with another round of dough. Press to seal edges. Repeat the same with rest of the dough. I made 6 doughnuts like this and for the rest of the dough i rolled it 1/2 inch thick and cut out as roundels to be filled with jam later. Cover with cloth and let rise for 30 minutes or until double in bulk. Heat the oil in a pan, when it is hot enough, gently slide the krafne into the oil, top side down, 2 at a time. Fry, turning several times, until golden all over. remove using a slotted spoon and drain on a paper towel. To fill the doughnuts after frying, Fill a piping bag with apricot jam, just punch the sides of the krafne with the nozzle and pipe the jam into it. Lovely! They are such a perfect color and with the apricot jam look so appetizing. 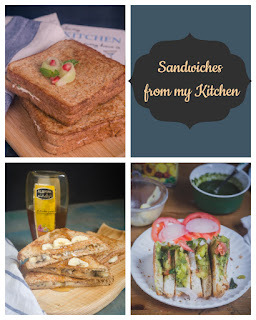 Great pictures..and the styling is cool..not to mention that the dish is so yum! Am in love with this jammy doughnuts, would love to munch some. What a tempting little treats they are. Love your clicks with the powdered sugar shower. Such a tempting platter of donuts , lovely . Clicks are stunning as well. wow very delicious jam stuffed doughnuts :) Love the apricot jam filling in it :) Love the styling as well !! Apricot jam stuffed donuts are very tempting. Nice capture of sugar shower. these little bites look so inviting and the home made apricot jam..is stunning, i love apricots and feel like picking one of these and enjoying it. OMG! Priya please these are so temptingly delicious. I wish I can reach out and eat some. I will try these asap.